You'll be £13.50 closer to your next £10.00 credit when you purchase The Phantom F-4. What's this? Order within the next 16 minutes to get your order processed the next working day! The Phantom was developed for the US Navy as a long-range all-weather fighter and first flew in May 1958. It became operational in 1961. The US Air Force then realised that the Navy had an aircraft that was far better than any tactical aircraft in their inventory and ordered 543 F-4C variants. There then followed a spate of orders from around the world. In Britain, it was ordered for the Navy and Air Force, but was modified to take the Rolls-Royce Spey turbofan. One of the Royal Navy's Phantoms stole the record for the fastest Atlantic crossing, a record that stood until taken by the remarkable Blackbird. During the long course of its service history, the Phantom has been employed in a variety of different combat scenarios and theatres of war. It was one of America's most utilised aircraft during the long Vietnam War and has been flown in anger in the Middle East by a number of different air forces. 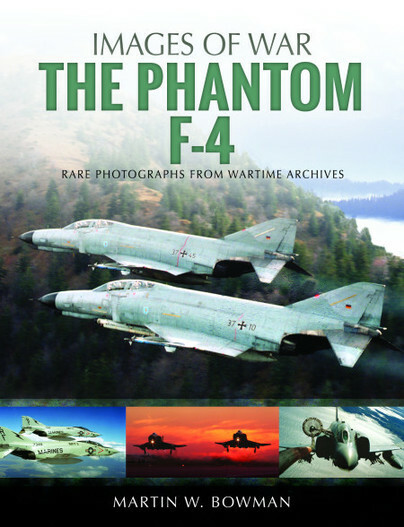 The F-4 is still operational with several units, but is now coming to the end of its long and successful period as a front-line combat warplane. This is the perfect introduction for the general reader, enthusiast or modeller wishing to find a succinct yet detailed introduction to the design and history of this aircraft. Why was it conceived? What was it like to fly in combat? Who were the people who designed it and who became famous for flying it? What were its virtues and vices? These questions are answered and a wealth of technical data, additional information and suggestions for further reading are provided.